We would like to take this opportunity to welcome you and your child to Wynndale Baptist Church’s Wonder Care Preschool. It is our prayer and desire that you have a wonderful and rewarding experience. We count it a privilege that you would choose to share your precious little ones with us. We believe that children learn by doing. Therefore, we implement a thematic curriculum using a center-based, hands-on approach based on Christian principles. Our mission is to provide a premium level of quality child care which meets the developmental, social, emotional, and spiritual needs of the children we serve. We are keenly aware of our responsibility and call of service to our community and our program provides positive interaction and quality instruction with Christian teachers. We would like to take this opportunity to invite you to visit our Sunday School and Worship Services and to participate in other activities provided by the church. If we can be of assistance to you, please do not hesitate to contact us at any time. If you have any questions or would like more information, please contact the church office at 601-371-2429. 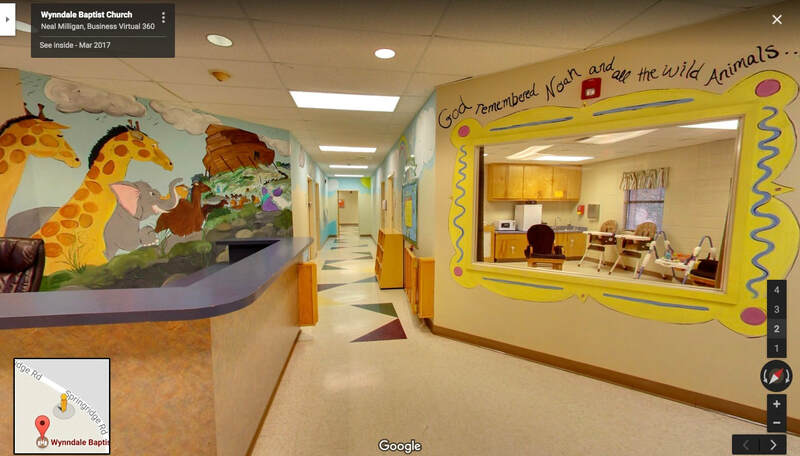 Click the image below to see a virtual tour of our Childcare Building on Google Maps.